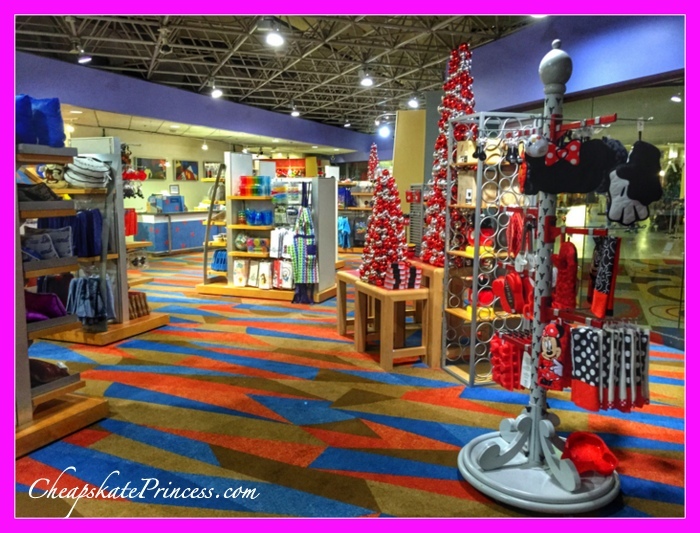 Disney gift shops are swamped these days with high-end super expensive items. 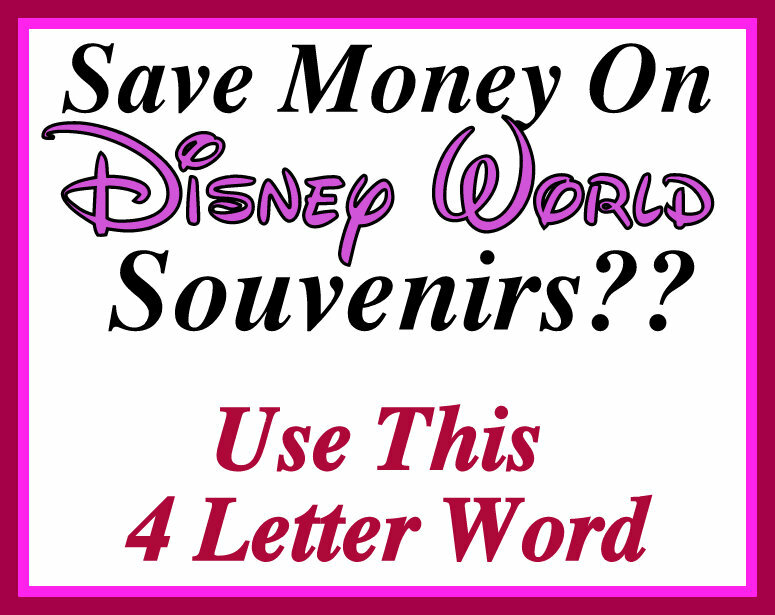 There are $350 Dooney & Bourke handbags, $150 Rebecca Hook jewelry, plus good Lord the pricey PANDORA items are endless, but it’s tough to find souvenirs you would think of as a bargain. 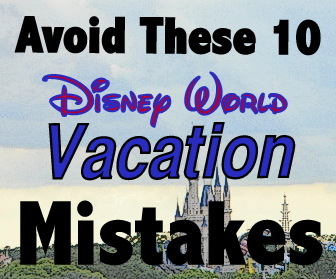 Sorry to break it to you, but there are very few true bargains at Disney World. But have you been in Target lately? We have located some adorable jewelry finds for you, guaranteed to fit within any vacation or monthly budget without causing emotional or financial hardships. Leave your Visa card in your wallet and lets’s do some window shopping! 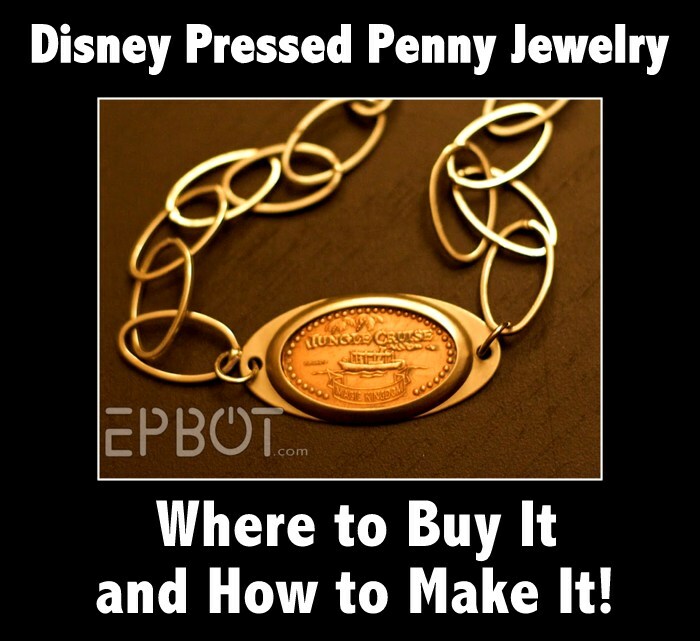 Can You Afford This Disney World Jewelry? 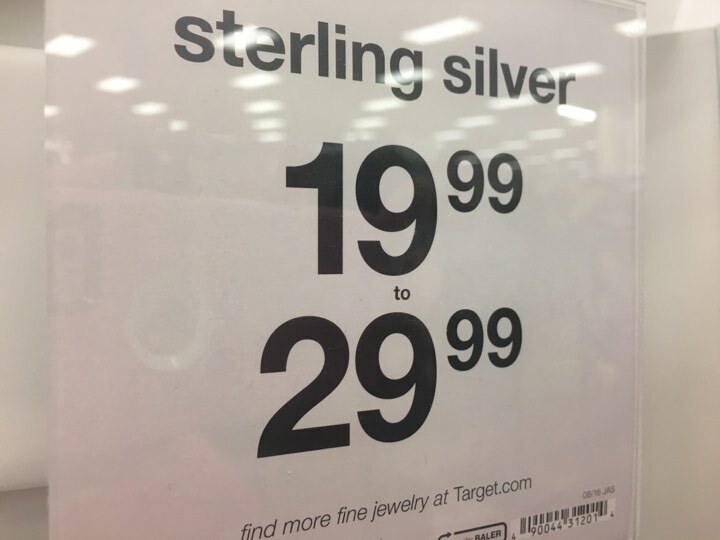 Yes, Because It’s All Under $30! 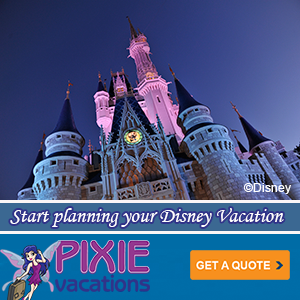 Unless you are a Disney Princess, it’s hard to get to Disney World as often as we would like. 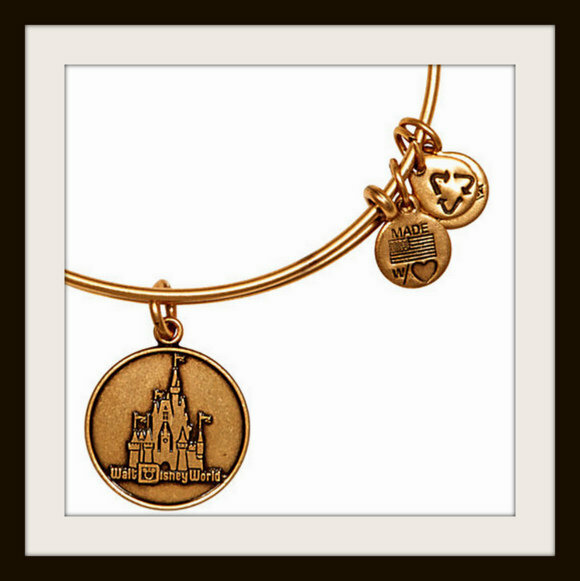 Sometimes, it’s nice to pick up a little trinket to show our Disney vacation enthusiasm before you get to Orlando. 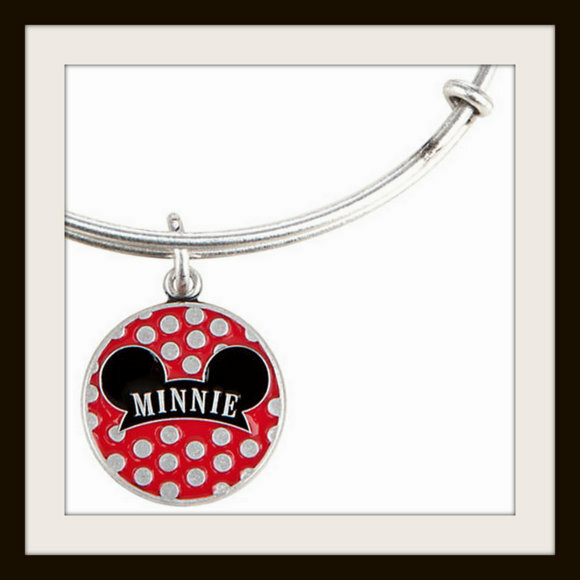 The Disney Store is making that easy for you right now, with Disney Character inspired jewelry available online at reasonable prices. 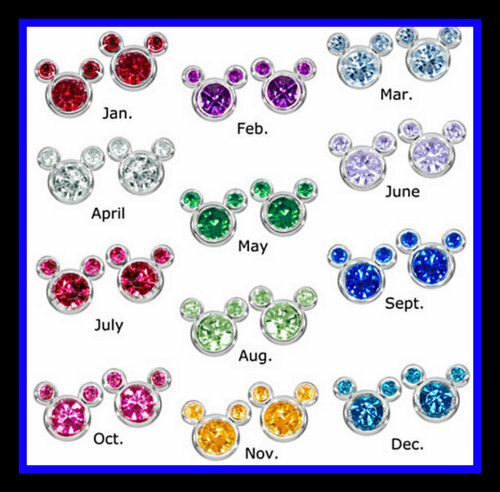 These sparkling Mickey Mouse Birthstone Earrings give her a reason to celebrate every day of the year. Post-pierced with an anti-tarnish finish, they dress up a casual look and fit right in on a dressy night out. 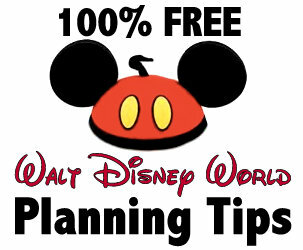 Use this Disney Store link for more details. 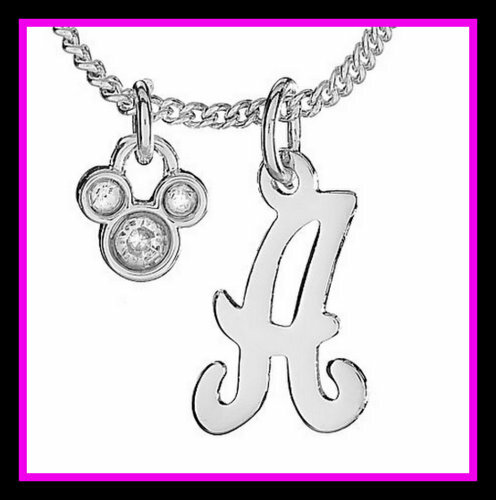 A Mickey Mouse icon hangs next to her initial on our Silver Initial Mickey Mouse Necklace. 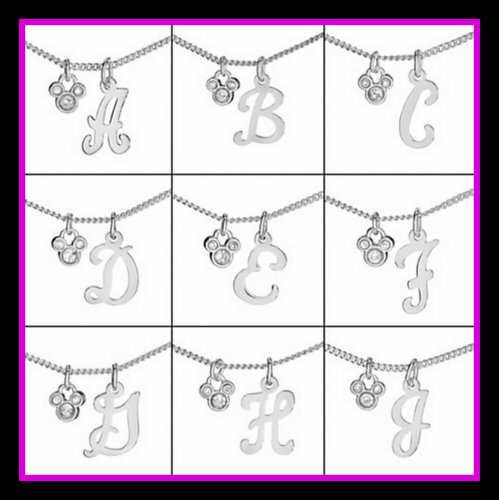 A lovely script, coupled with sparkling stones, makes it special with a touch of Disney magic! 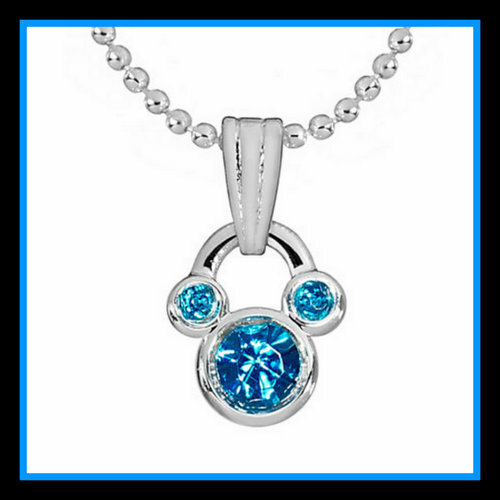 Every day is her special day with our Mickey Mouse Birthstone Necklace. 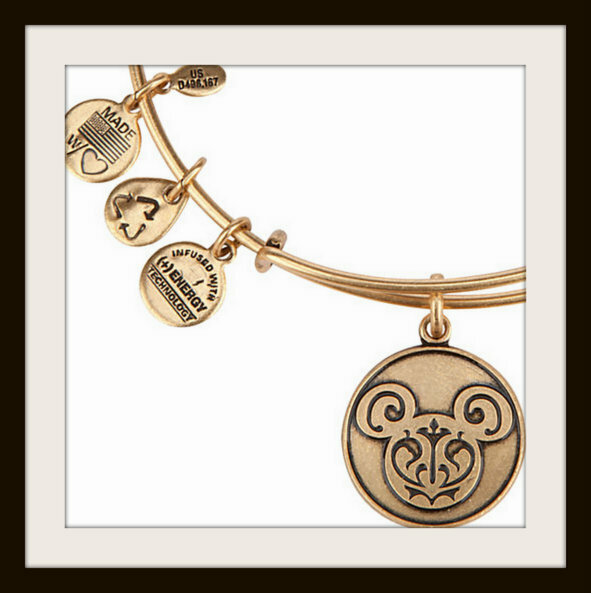 Our Mickey icon sparkles with her birthstone on a silver-plated, anti-tarnish bead chain. 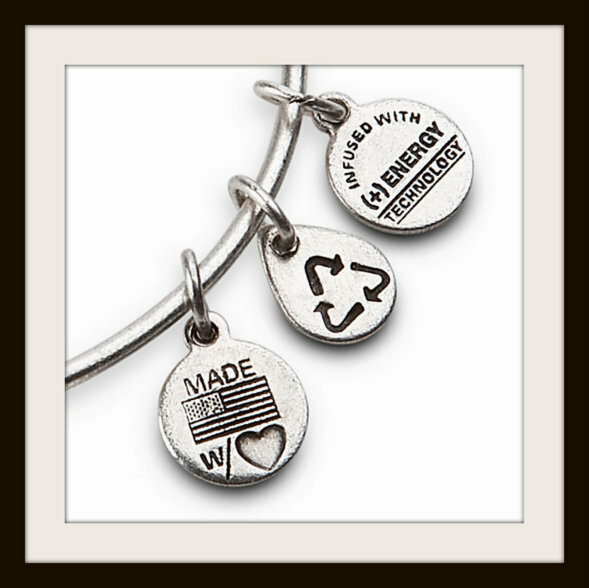 The chain is adjustable so the perfect gift is also a perfect fit. 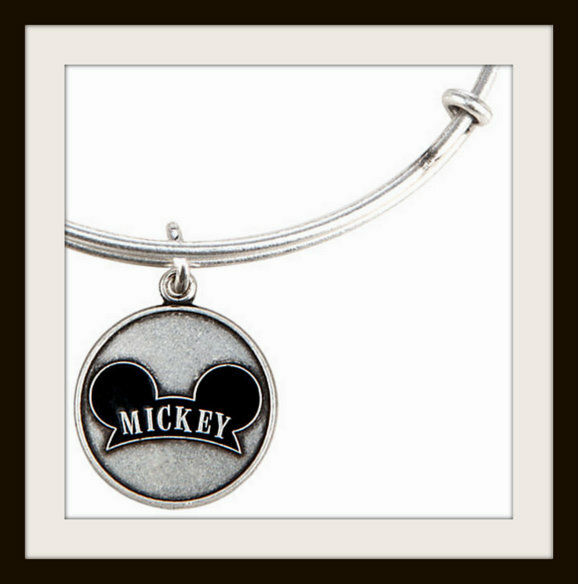 Bring glam and Disney magic together with our Mickey Mouse Icon Necklace. The iconic crystal studded Mickey silhouette is surrounded by a circular pendant with even more crystals to give our necklace extra sparkle. 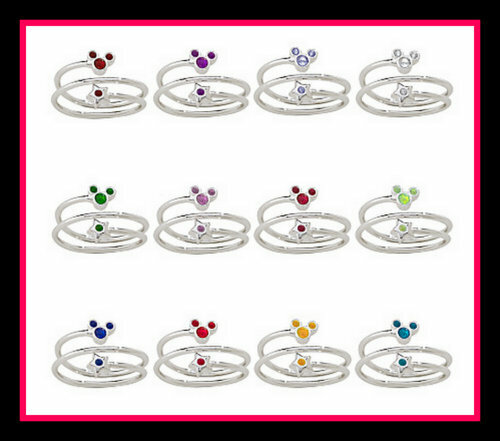 This Mickey Mouse Birthstone Ring wraps around your finger with a Mickey Mouse head icon, silver band in the center and star. 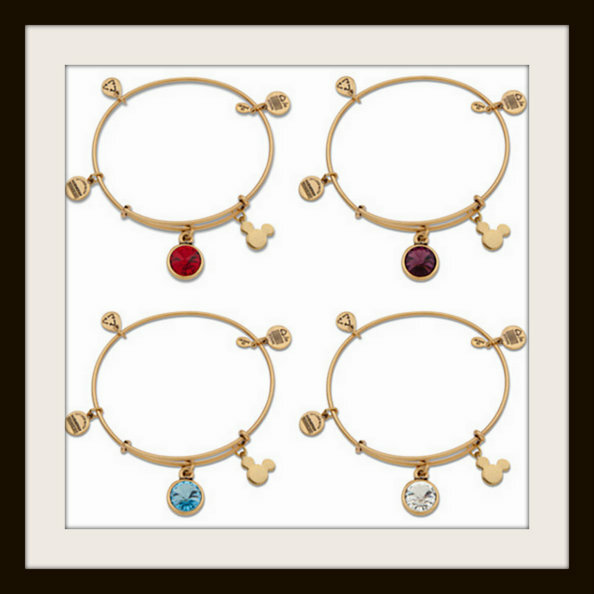 Mickey’s ears and head and the star’s center showcase your birthstone to celebrate you. 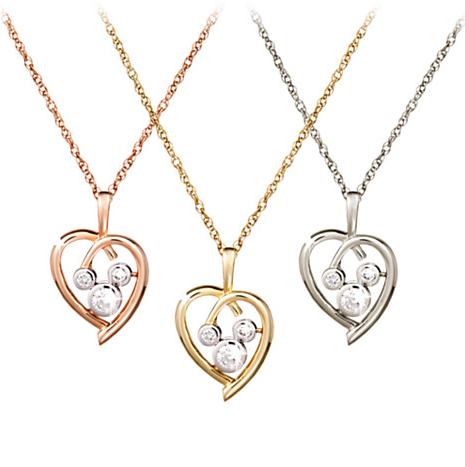 You’ll fall in love with the charm of our Mickey Mouse Heart Necklace. 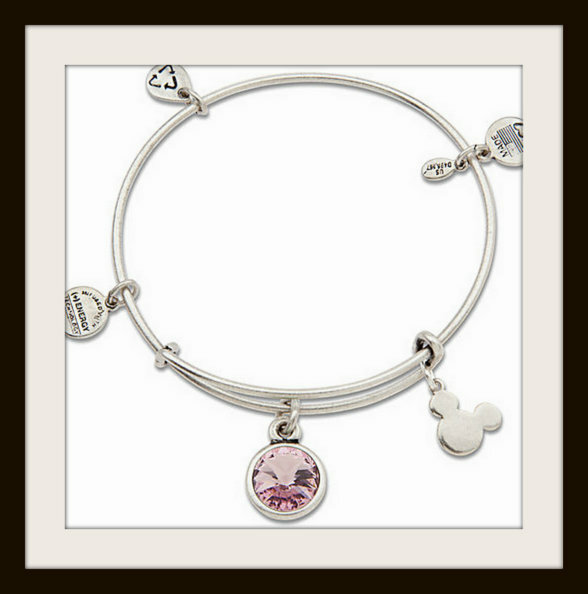 The sparkling heart, encrusted with pink cubic zirconia stones, perfectly frames the finely-detailed features of Mickey’s face. 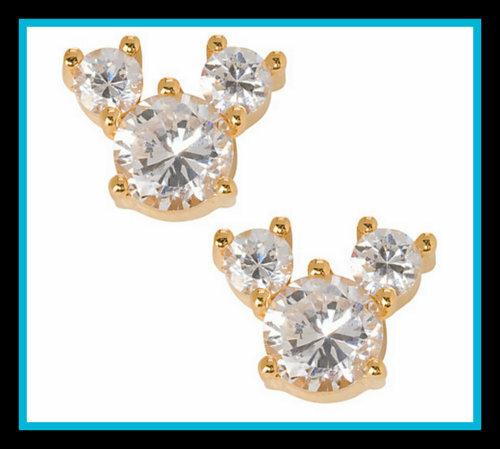 Bring a sparkle to your eye with our Cubic Zirconia Mickey Mouse Earrings. 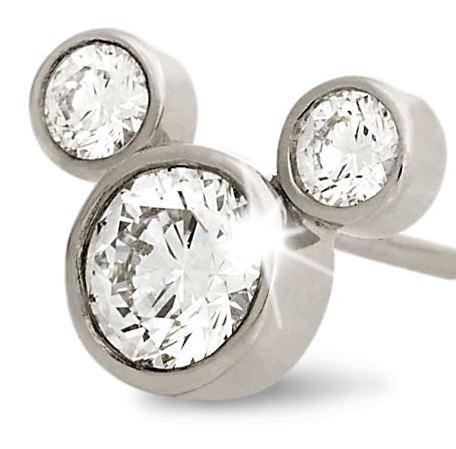 The brilliant gleam and sophisticated design of our Mickey shaped earrings will add elegance and style to any outfit. 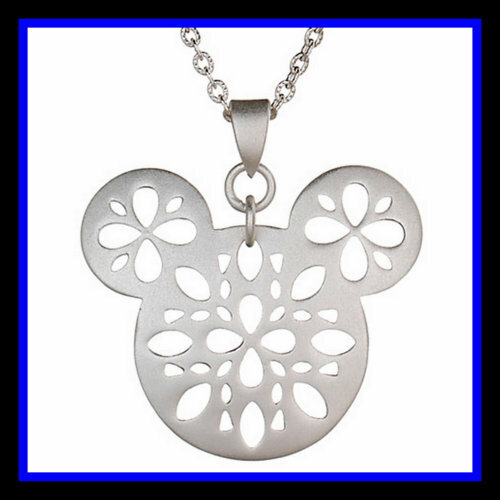 This concave icon pendant features a cut design so Mickey resembles an elegant snowflake. 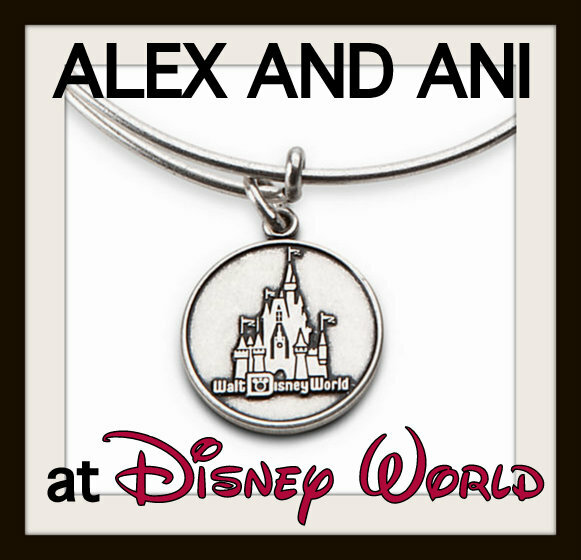 Using a matte finish metal, the necklace blends contemporary style with the timeless charm of Mickey. 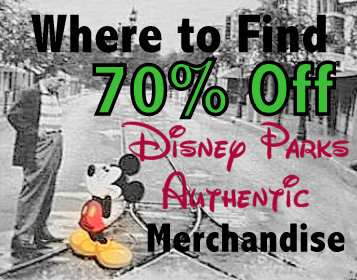 A Disney Princess knows how to spot a quality item. 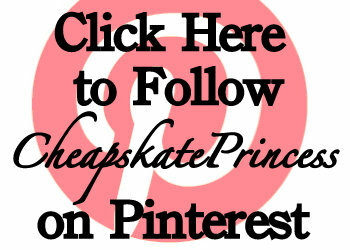 A Cheapskate Princess knows how to find that item on sale! 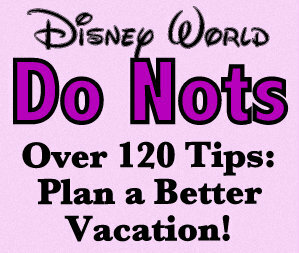 If you spend more than you planned, you can still keep the budget for your upcoming vacation on track. 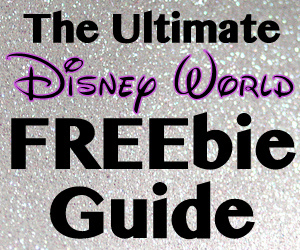 You’ll need some FREE entertainment, and we have just the list to get you started. 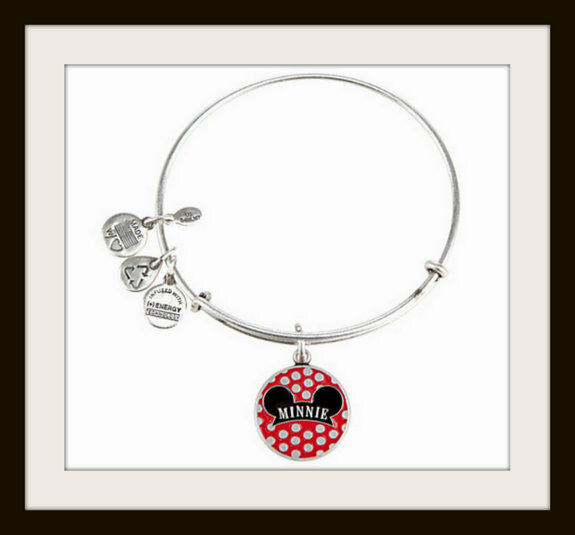 Here are some lovely Disney character themed jewelry items from the Disney Store that, while not currently discounted, will qualify for FREE shipping. Ready for some serious window shopping?! 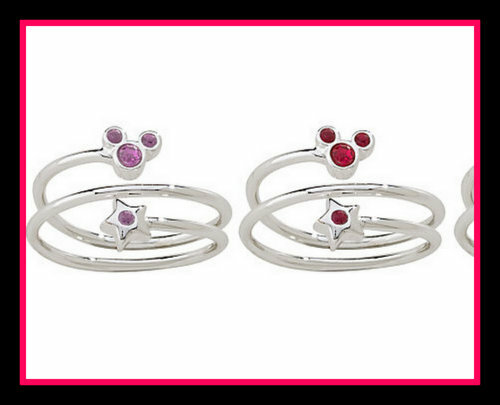 Five diamond-encrusted Mickey icons make this Mickey Mouse Ring a dazzling mix of precious gems and an American treasure. 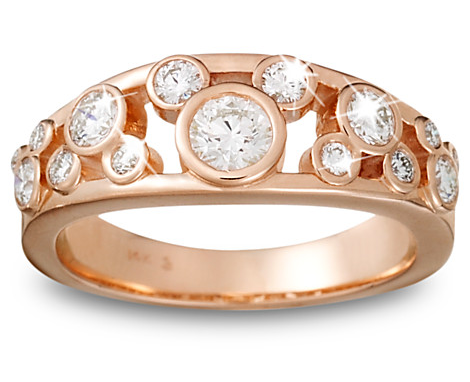 Crafted in 14 karat rose gold, this elegant ring is perfect for those wedded to the magic of Disney. Use this link for more information. A dazzling diamond forms the head of Mickey at the center of this 18 karat white gold Mickey Mouse Ring for men. Smaller Mickey icons flank the central diamond-studded icon on this ring that blends style and elegance with Disney sparkle. Use this link for more information. 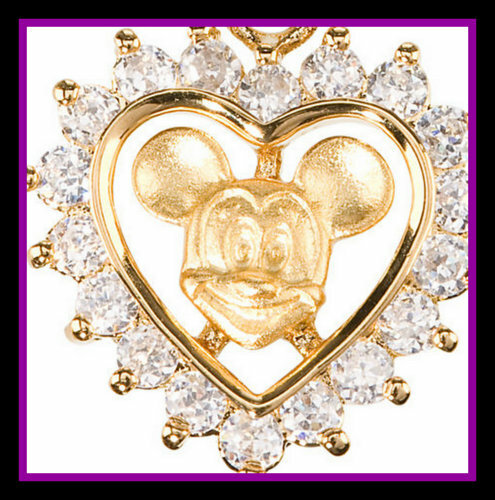 A diamond-encrusted Mickey icon dazzles within the 18 karat gold heart of this Mickey Mouse Necklace. 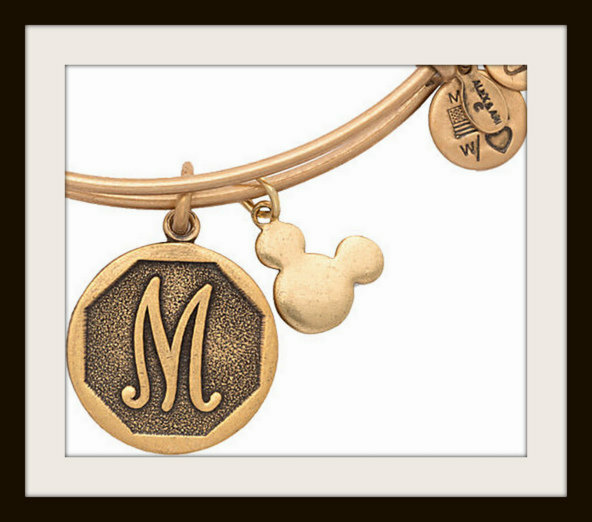 For romantics and Mickey lovers everywhere, this elegant necklace will provide a lifetime of golden moments. You can choose from white, yellow or rose gold at no additional charge. 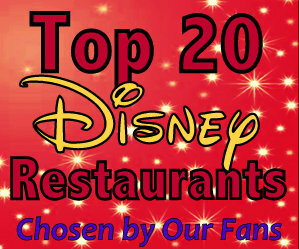 Use this link for more information. 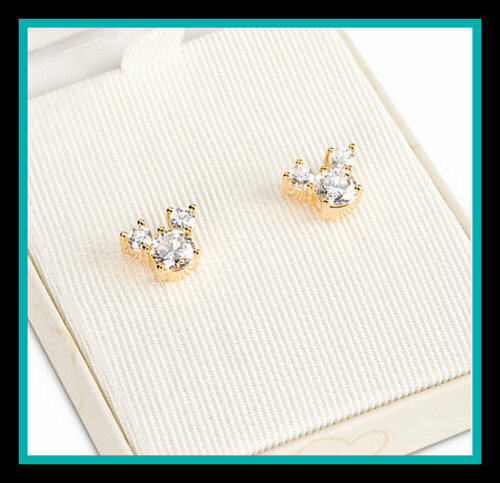 A diamond-encrusted Mickey icon slides freely around the 18 karat gold hoop on these dazzling Mickey Mouse Earrings. 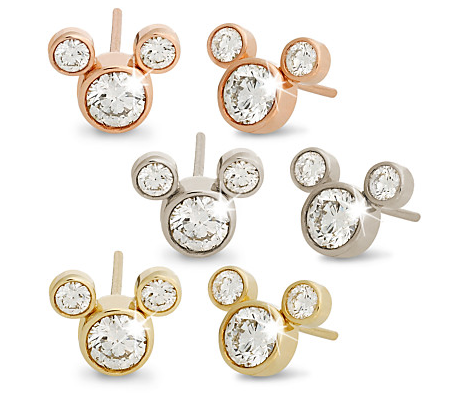 Combining premium quality diamonds, gold and Mickey has created earrings with a sparkling personality. You can choose from white, yellow or rose gold at no additional charge. Use this link for more information. 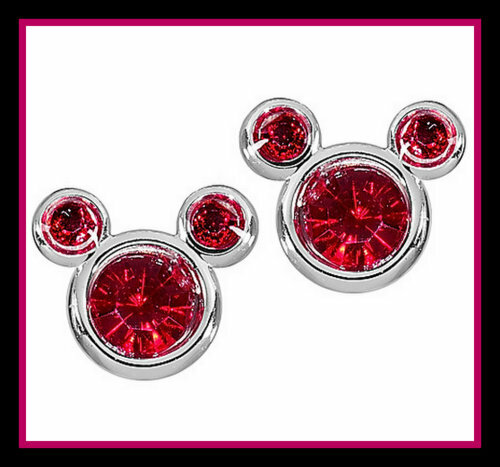 Diamonds reflect Mickey’s sparkling personality with this dazzling pair of Mickey Mouse Earrings. 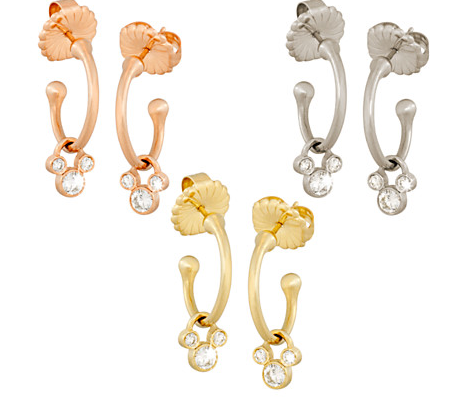 The post earrings feature three diamonds in a 14 karat gold Mickey icon setting, available in a choice of tones. 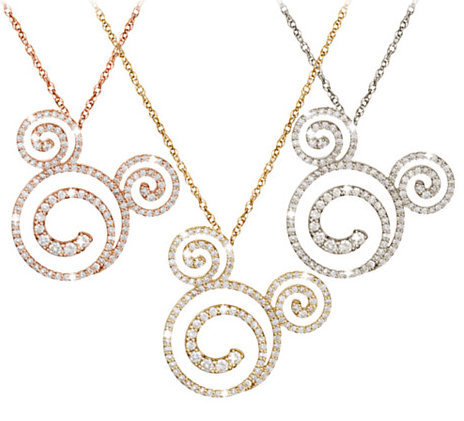 You can choose from white, yellow or rose gold at no additional charge. Use this link for more information. 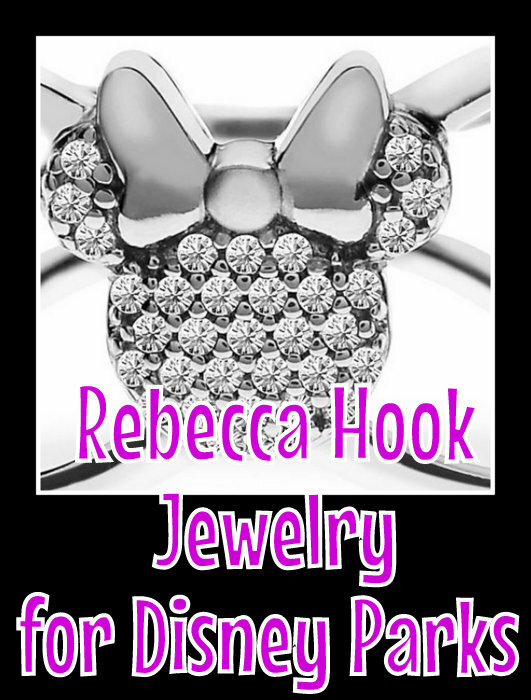 This Mickey Mouse Necklace features three premium diamonds forming Mickey’s iconic outline. The 14 karat gold setting is available in different colors and dangles from a fine gold chain. You can choose from white, yellow or rose gold at no additional charge. Use this link for more information. 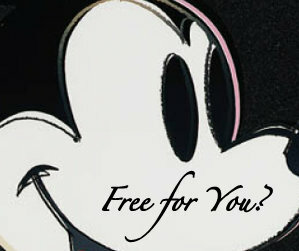 Mickey’s iconic outline sparkles with three premium quality diamonds in this Mickey Mouse Bypass Ring. 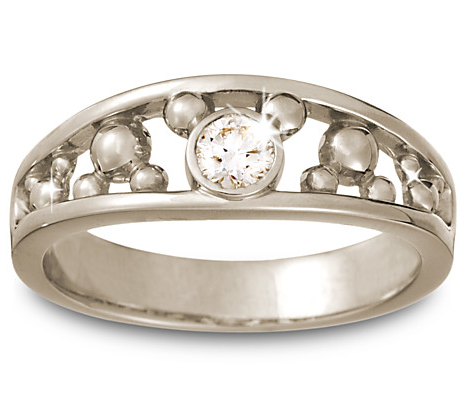 Crafted in 18 karat yellow gold, this elegant ring is a dazzling part of our Disney Dream Collection. Use this link for more information. 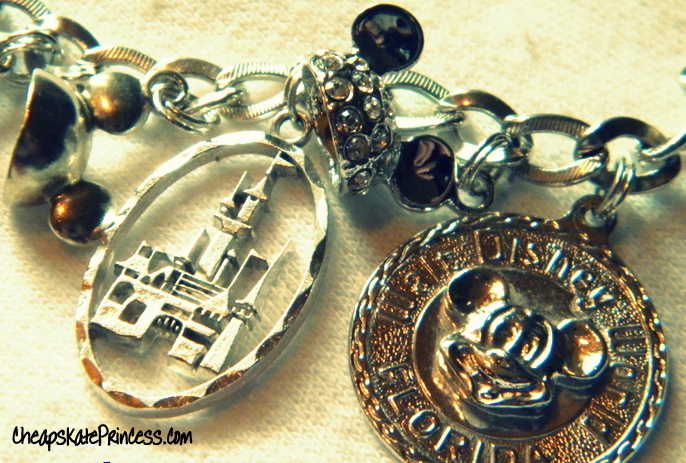 Mickey’s head is outlined in dazzling diamonds on this Mickey Mouse Necklace. 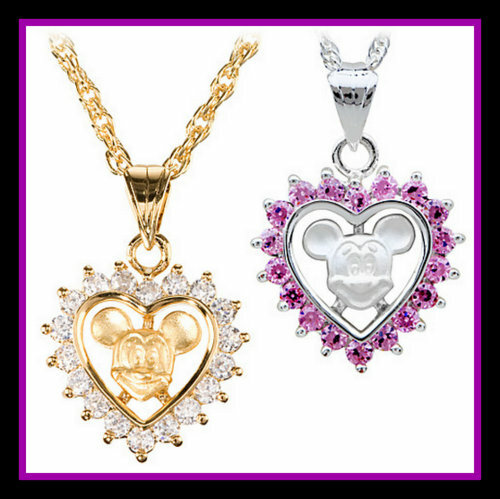 The premium quality diamonds are set in 14 karat gold and hang from a fine gold rope chain to create a timeless and elegant piece of Mickey Mouse jewelry. You can choose from white, yellow or rose gold at no additional charge. Use this link for more information. 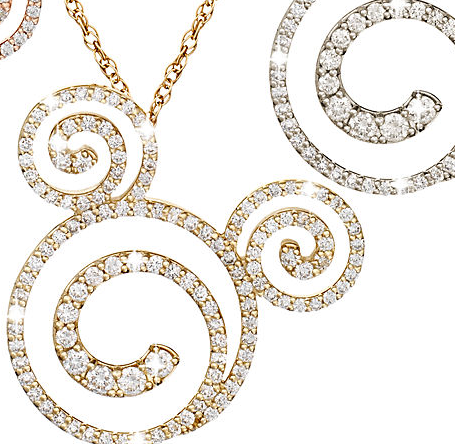 A twisting trail of diamonds lead to a dazzling Mickey icon on this Mickey Mouse Necklace. 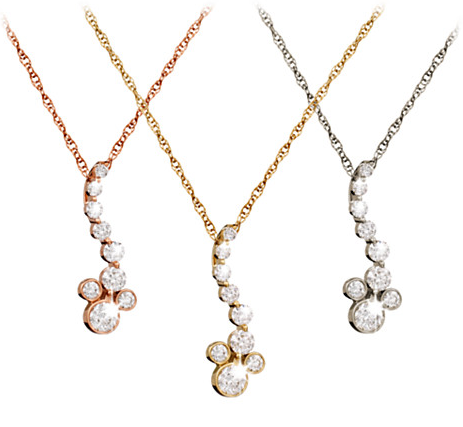 The diamond-encrusted 14 karat gold pendant combines the timeless beauty of diamonds with the timeless appeal of Mickey. You can choose from white, yellow or rose gold at no additional charge. Use this link for more information. 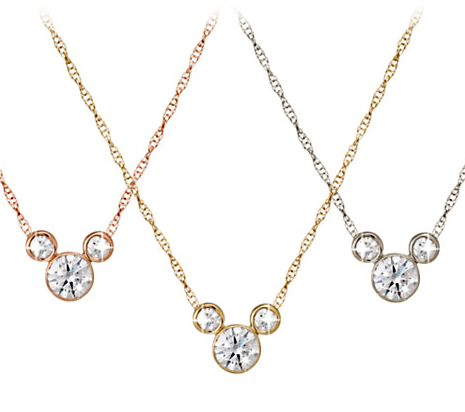 Mickey’s iconic image is formed from three diamond-encrusted swirls on this dazzling Mickey Mouse Necklace. The 18 karat gold setting and chain further enhance the sophisticated style of this necklace that sparkles with character. Use this link for more information. 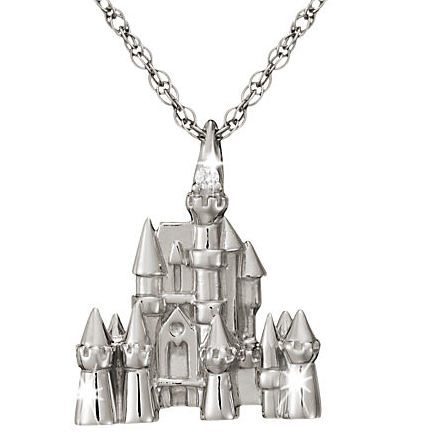 Nothing says ”dreams come true” like a Disney castle, the perfect pendant for this platinum necklace. And what would a magic castle be without some sparkle? It’s got that too, thanks to a dazzling diamond at the top of the highest tower. Use this link for more information. 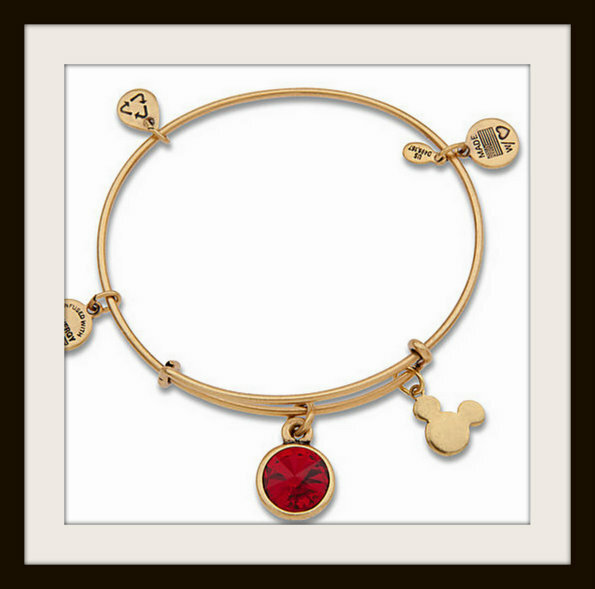 Mickey will always be on hand to celebrate that special month with this elegant birthstone ring. 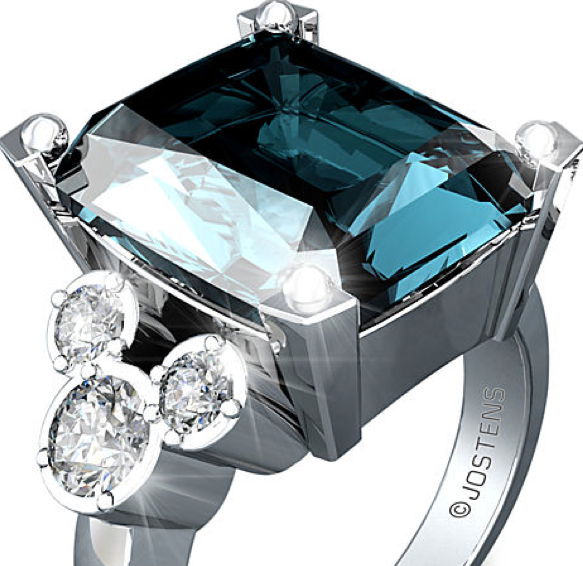 A simulated blue zircon, the birthstone for December, is set between diamond Mickey icons in this ring that can be engraved for the perfect gift. 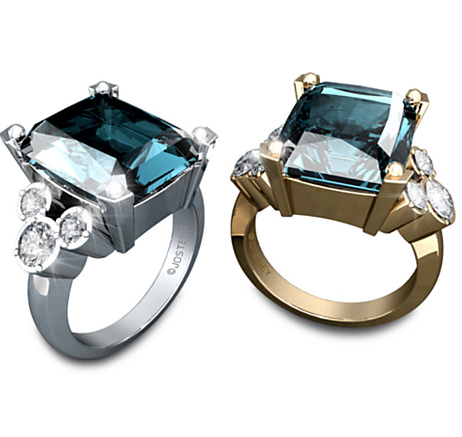 Choose from Lustrium, Solaris, and Yellow Gold. 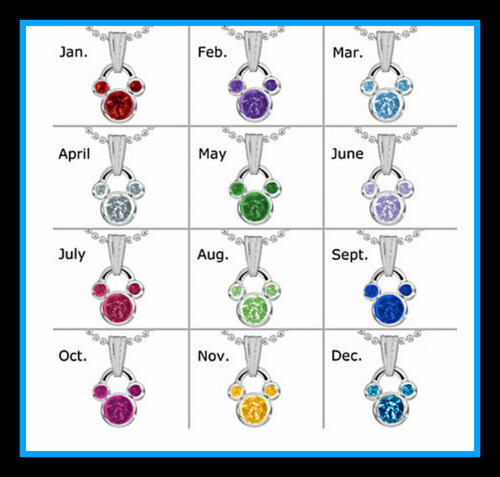 This photo and price are for a December birthstone, but there are other months available. Use this link for more information. 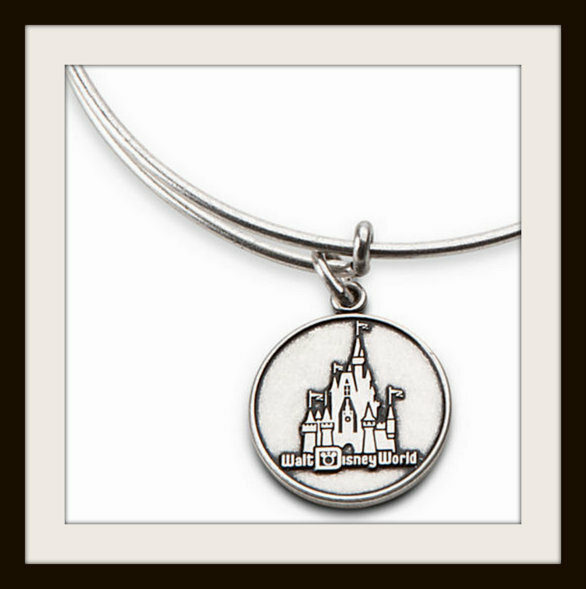 Window shopping on the Disney Store.com site is more fun if you take the time to look at close ups of the jewelry. It’s here you can really tell you are getting a quality product, even if you are certainly paying a pretty penny for it. Knowing the crazy amount of money I spend on Disney vacations, it just kills me to go home and have the memory of my time in Orlando slip away. 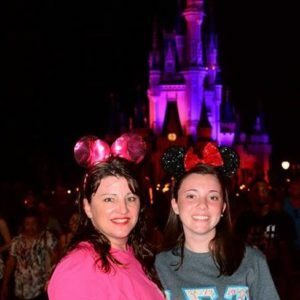 I’m not that old, but those Disney feelings and memories fade quickly. The longer I am back home, the less I seem to recall unless I am sitting in front my pictures. I miss the smell of Disney, the colors of the buildings and characters, the feel of the monorail bench, the sound of the fireworks, and the songs. I seem to miss it all.